Early in January, the president of Foerderverein travelled to Mingun with a group of friends to inaugurate the new primary school. 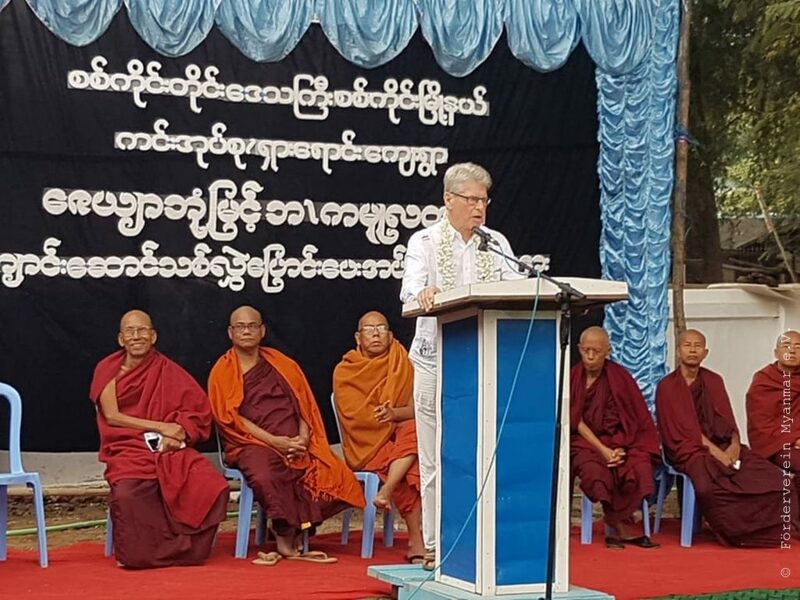 In a ceremony together with the responsible monks, the village leaders and other guests he mentioned that the showcase kindergarten of the village is now followed by this primary school with a very special pedagogical profile. 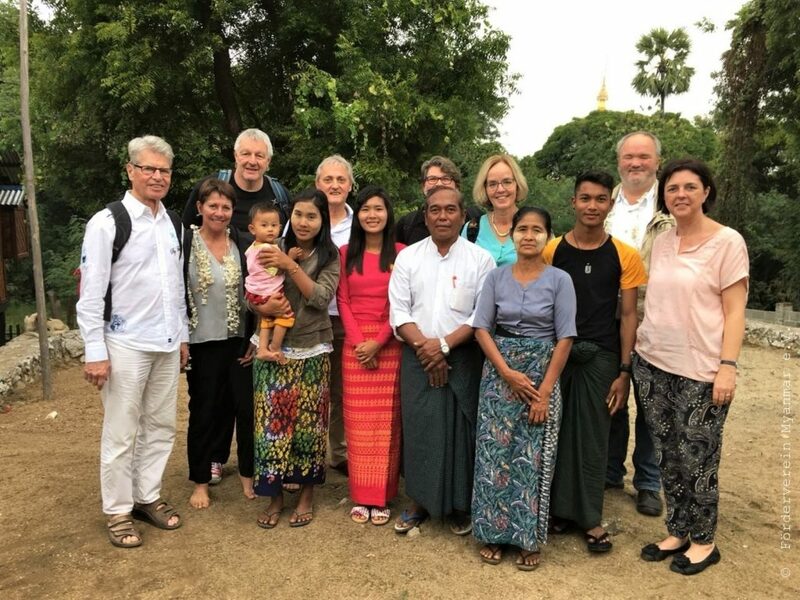 Thanks to the parents’ initiative in this part of the village near the White Pagoda and thanks to Foerderverein the school-building could be constructed in less than three months. 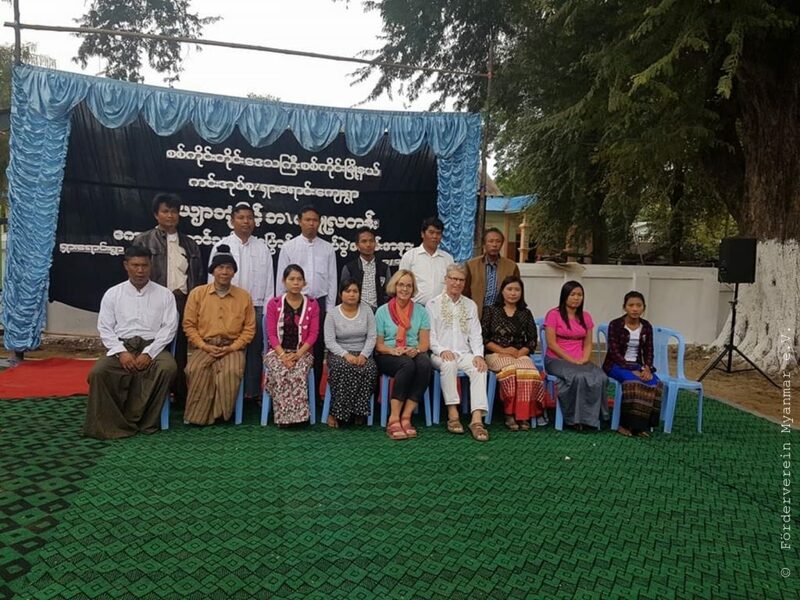 Preparation time however took more than two years because, according to Myanmar law, Foerderverein was not allowed to act as leading institution. Many steps in prior consultation had to be taken. Result now is part of the future of pedagogical learning adapted to Montessori’s principles. 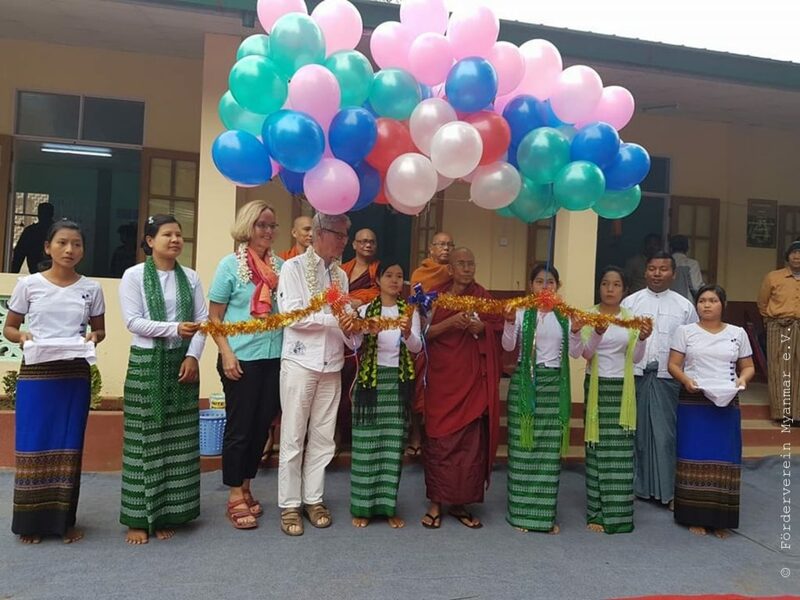 The children are studying enthusiastically, the Burmese parents are surprised how their six-year-olds are prepared to learn autonomously and Foerderverein with president Krajewski is very proud of this successful project. The new academic year has started !